The 45th General Hospital was officially activated on 15 May 1942 at Camp Lee, Petersburg, Virginia (Army Service Forces Replacement Training Center; acreage 7,534; troop capacity 2,143 Officers & 38,427 Enlisted Men -ed). Col. Charles A. Pfeffer was assigned as the unit’s Commanding Officer and assumed immediate charge of the unit upon activation. However, much work had already been completed in the run-up to this official activation. 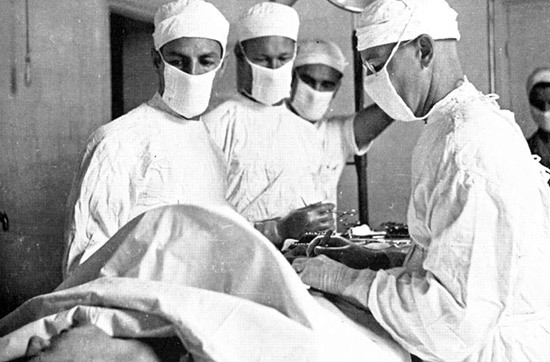 As early as 1940, the Office of the Surgeon General had notified the Medical College of Virginia that the US Army proposed for the College to once again prepare a Hospital unit. 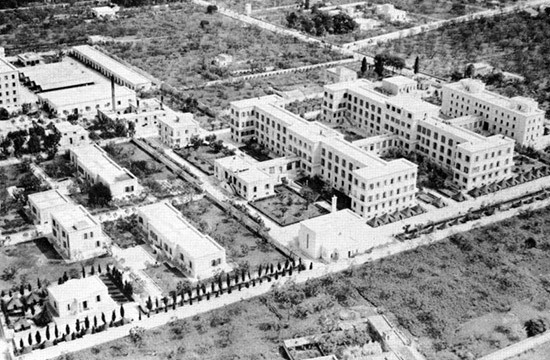 During WW1, the University had organized Base Hospital No. 45, and thus was seen as a natural candidate to prepare a unit for the second impending world conflict. In anticipation of its official activation, the Board of Directors at the College began to nominate personnel to occupy the numerous positions within such an organization, and the process was finally completed on 20 April 1942. However, several changes were made to the organization in late May. 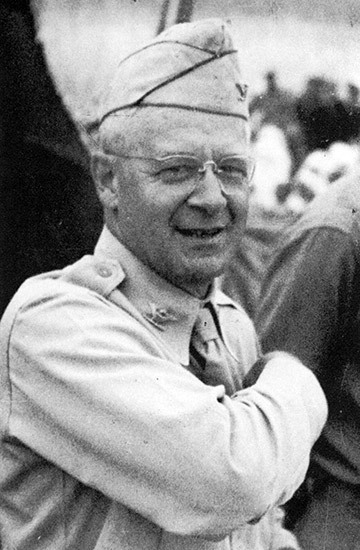 Captain James O. Burke, MC was appointed as the unit’s Executive Officer and a further 190 Enlisted Men were placed on temporary duty with the unit from the 232d General Hospital. By the end of the month, a total of 30 additional Nurses had also arrived at the 45th General Hospital for permanent duty. 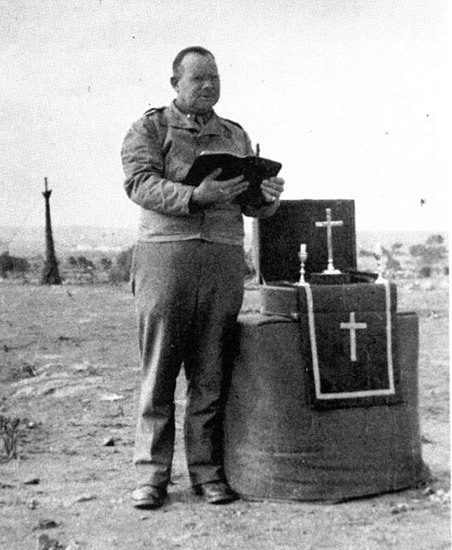 Finally, Chaplain James L. Flaherty joined the unit on 23 June 1942, thus completing the unit’s Table of Organization. 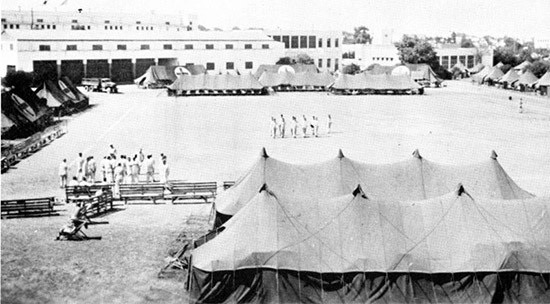 Personnel of the unit practice Close Order Drill during the early days of the 45th General Hospital at Camp Lee. During its time at Camp Lee, the 45th General Hospital assisted in the running of the Station Hospital, with all departments assisting in their area of expertise. In addition to the day-to-day activities associated with helping in the Station Hospital, lectures were also given to the Officers each morning during the months of May and June. Subjects covered included military customs and courtesies, salutes and ceremonies, the organization and function of a General Hospital, medical supply, duties of the Registrar, the Articles of War and compass and map reading. Personnel of the unit gave selected Enlisted Men lectures and practical courses in mess management, medical supply, shorthand and typing, oxygen administration, surgical technique, and laboratory procedures. Others attended regular courses organized by the Camp Lee staff for cooks and bakers, clerks, electricians and plumbers. In addition to these regular professional training activities, each member of the organization also undertook a program of physical training. The activities included calisthenics, close order drill, hikes, softball and baseball. The Detachment personnel continued their regular professional and non-professional assignments during the physical training, which kept everyone in the new unit busy. Practice blackouts were also staged at Camp Lee, with the entire camp involved, and simulated air raids took place once a week. During these sessions, ambulances would appear at the Dispensary entrance and the Hospital staff practiced unloading ambulatory patients into the facility in preparation for operation under field conditions. 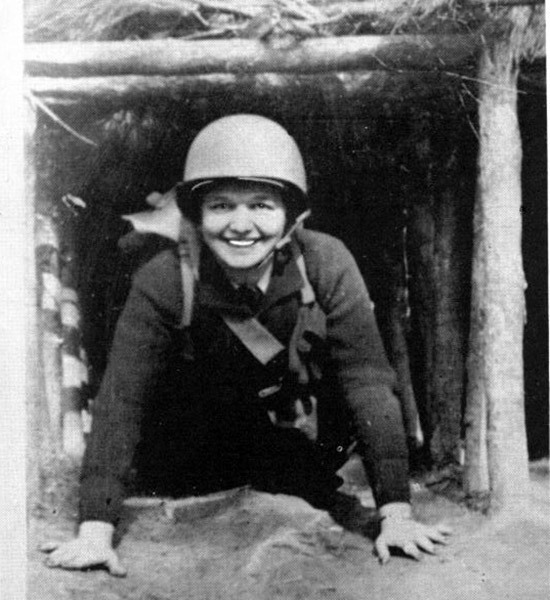 An unidentified Nurse of the unit emerges from the obstacle course during training exercises at Camp Lee. The training program continued into August, and on the 8th of the month news was received about the landings on Guadalcanal and Tulagi. It soon became apparent that the unit would be alerted for overseas duty, and the news was finally received on 8 September 1942, when Col. Pfeffer was instructed that the unit was to begin additional, intense training for the Pacific Theater. However, no official Movement Orders were ever received. In early November, the news that “Operation Torch” had launched finally reached the unit. A few days later, goggles and other desert equipment were received at the facility, which made it clear the 45th would likely be heading to Africa. This meant that the personnel had to ‘hurry up and wait’ for more news, and more importantly, official alert orders. 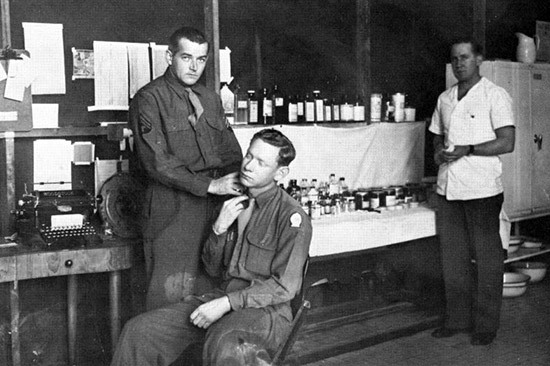 Throughout November and December 1942, the unit underwent several changes and increases in personnel, including the arrival of several new Dental and Maxillo-Facial Surgeons. Christmas was spent on the camp, and the Enlisted Men had a special party arranged for them at the Red Cross building. During the party, a portly figure dressed as Santa Claus appeared and distributed small gifts to the men, largely supplies from the Post Exchange! 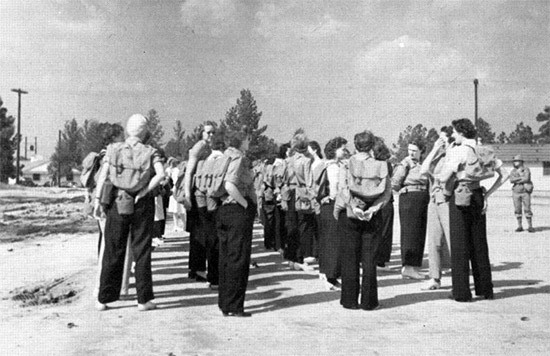 The 45th General Hospital’s Nurses complement prepares for their first field hike. The entire staff arrived at the Mess Hall at approximately 0300 on 10 March. After a steak breakfast, the Commanding Officer issued orders for everyone to form ranks at 0425 with their helmet, gas mask and packs. Finally, at 0620, the Officers departed Camp Lee and arrived at the entraining area approximately a mile and a half away at 0645. The balance of the unit arrived at the entraining area and boarded boxcars. At 0800 the train pulled out of Camp Lee with an immediate destination of Camp Kilmer, New Jersey. The movement was completed at approximately 2000 on the same day. Additional training took place at Camp Kilmer, New Jersey with a final showdown inspection being held on 18 March. The following day, an advance party of 13 Officers, 10 Cooks, 2 Butchers, 5 Bakers and 12 Medical Technicians left by truck arriving at Staten Island (New York Port of Embarkation –ed), where they boarded a government tug that took them up the river to Pier 86. The balance of the unit did not leave Camp Kilmer until 1800, but arrived at Pier 86 approximately 3 hours later. Upon arrival, the unit found RMS “Andes” waiting for them, and embarkation was begun immediately. Loading and embarkation continued through the night, and the next two days. The vessel finally departed New York at approximately 0600 on 21 March 1943. The destination was indeed to be North Africa. 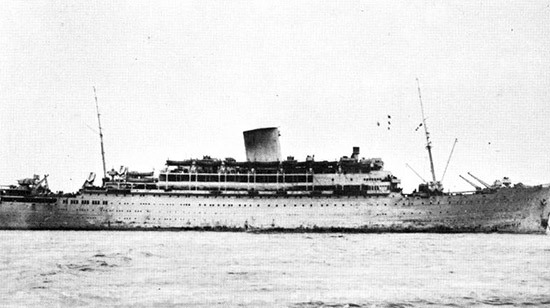 Exterior view of RMS “Andes”, the 45th’s transport vessel to North Africa. Land was sighted at about 1645 on 29 March, but the Andes did not dock until 2100. After almost immediate debarkation, all personnel were loaded in trucks and taken to a railroad station. The unit arrived with 497 of its authorized 500 Enlisted Men; 3 had been transferred to an Evacuation Hospital in Casablanca due to illness. All Officers and Nurses debarked intact. Nine Officers arrived at the station from the 8th Evacuation Hospital and were permanently assigned to the 45th General. All personnel then boarded a large passenger train, which departed the station at 2330. The ride was accomplished in complete blackout, and no one knew the ultimate destination. At approximately 0130 on 30 March 1943, the train arrived at Rabat, French Morocco. Trucks were waiting at the station to transport all personnel and equipment to the 45th’s new station – a large three-story white building some 400 feet long. It was soon discovered that this was the “Collège des Orangers”, a large boys’ college formerly occupied by the 51st Station Hospital. Field ranges were available upon arrival at the new facility, but there was no gasoline with which to operate them. As a result, the first meal consumed was cold field rations. Gasoline was finally sourced by 1100 and the cooks prepared plenty of hot coffee, which was welcomed by all staff following the long night they had endured. Aerial view showing the unit’s facility in Rabat, North Africa. The complex was encircled by a large athletic field shown in the centre of the photograph. The main building of the school was designated as Building “A”. It measured approximately 225 feet long, and featured two inner courts entirely enclosed by the building. An additional annex extended from each end of the main structure, and the facility was set aside for use as X-Ray Laboratories, the Office of the Chief of Medical Service and the Post Office. The annex to the right of the main hall contained the kitchen and the Officers’ and Nurses’ Mess Hall. Kitchen storage and refrigeration were conveniently located in the end of the main building and faced the courtyard. The Laboratory, Dispensary and the Receiving and Evacuation Section occupied the other annex. The Baggage Room, Pharmacy and patient showers faced the court and had easy access from a narrow hall connecting the front and back of the complex. Located across the back of the college building, on ground level, were the Patients’ Mess and the storage warehouse. The Medical Service for its numerous wards utilized the entire second and third floors of the College. The second story contained seven rooms across the front. These former classrooms were adapted to house 12 beds each. Long hallways across each end of the building led to two large rooms, converted into wards of about 100 beds each. 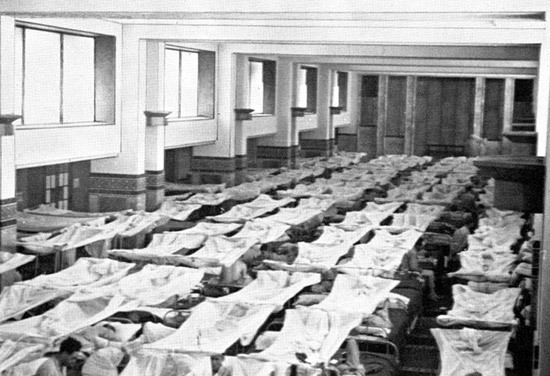 The second floor of the wings had several rooms, each of which was converted into a ward, consisting of 50 beds. To the rear of Building “A” and to the right of the athletic field, was a smaller classroom building. This was designated Building “B” and housed the Dental Clinic, EENT Clinic, and a 22-bed ward for both Services. Dental patients requiring extended hospitalization were assigned to the maxillo-facial ward of the Surgical Service. Two additional annexes within the grounds of the college were designated as Building “C” and Building “D”, housing convalescing patients and the Operating Rooms respectively. 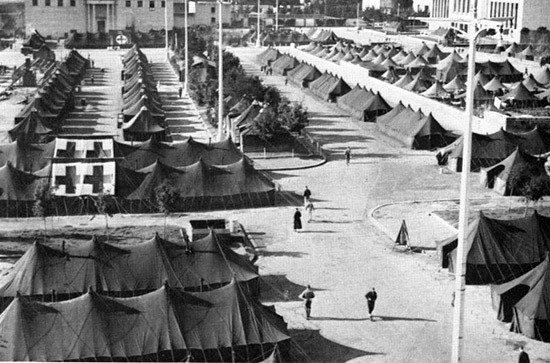 In addition to the large buildings, the 45th also utilized many Ward Tents in the grounds of the facility at Rabat. This photograph was taken from the top of the surgical building. 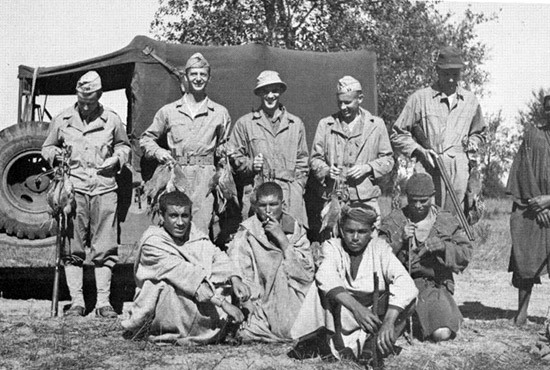 Established in tentage about one and a half miles from Rabat was the 2d Auxiliary Surgical Group under the command of Maj. James H. Forsee, MC. The primary function of this unit was to augment the work of the 8th Evacuation Hospital and 45th General Hospital in the area. Four personnel from the Group were placed on temporary duty with the 45th in order to prepare the operating rooms and identify any building requirements or adjustments that might be needed. Additional Enlisted Men not needed for regular duty were assigned the task of assisting the Engineers on details for cleaning, repairing and building construction. This proved to be very efficient and in the days that followed, showers and full laundry services were installed. The month of April was also spent improving and adapting the facility wherever necessary, and the majority of work had been completed by the end of the month. Several Nurses from the unit wash their mess kits using the special cleaning equipment installed by Hospital staff. The vast majority of admissions came via Hospital Train. Procedure for the reception of Hospital Trains had been established for several months, and proved a very efficient system. The following plan was initiated with the unit’s first influx of patients. The Surgeon’s Office at Casablanca would notify Headquarters of the 45th when to expect a trainload of patients. A group of Officers and Enlisted Men (and sometimes Nurses) would ride to Fez to meet the train. This group, usually headed by Captain Brown, was provided with a listing of vacant beds prior to leaving the Hospital. Capt. Brown would call the Hospital after arrival at Fez and request any changes in vacancies. On boarding the train the patients were examined, classified and an assigned ward number placed on their Emergency Medical Tags. Upon arrival at Aguedal Station in Rabat, ambulances would transport patients to the facility where they were met by additional personnel and quickly taken to previously designated wards. This system originated with the 45th General Hospital, and was quickly put to use elsewhere by other hospital units in the field. Several trainloads of patients were received throughout June, and the system allowed Hospital staff to unload a total of 1,514 patients in the month. Throughout the summer, the Medical and Surgical Services had periods of hard work, followed by days in which they had little to do. The clinics such as the EENT, Dental, Dermatology, Dispensary, Genito-Urinary and the Laboratory Service were usually kept busy at all times. The largest number of troops in the Rabat area brought about a rather heavy out-patient demand on these services. In the vicinity of the 45th, at various times, were the 1st Armored Division, units of the 2d Armored Division, the 3d and 36th Infantry Divisions and troops from VI Corps. 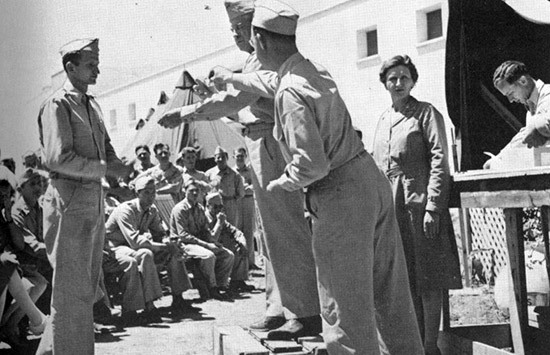 In order to deal with the high patient turnover, the 52d Medical Battalion established at the Rabat Race Course was designated as an annex for convalescent patients from the 45th, which helped to keep a constant flow of admissions and dispositions from the facility. Interior view of one of the Surgical Wards at Rabat. 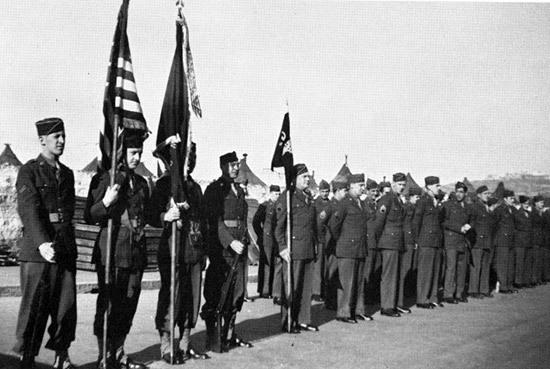 On 13 September 1943, the American Red Cross Service Club in Rabat was turned over to the 45th General Hospital. The unit’s Red Cross staff were to operate the facility, and held regular dances and special dinners for the Hospital’s personnel. By October, the patient flow had slowed to a minimum. No more Hospital Trains were being received, and general repairs and duties were carried out around the facility to keep everyone busy. The out-patient service was kept busy however, with waiting lines at their doors almost every morning. 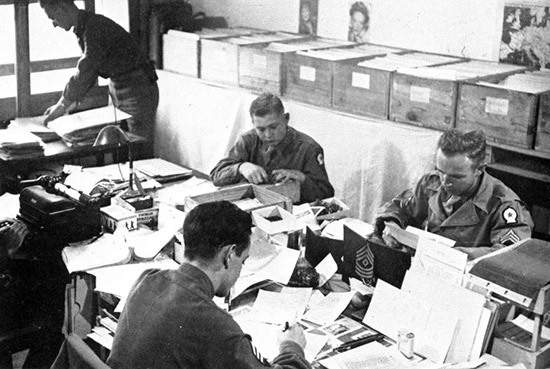 A two-week course in map reading was ordered on 1 November for all Noncommissioned Officers, and was conducted by Col. Alton D. Brashear. Secret movement orders were received by the Commanding Officer on 24 November 1943. An inspection of the Detachment was held during the late afternoon of the same day. Thanksgiving Day was quietly celebrated with a combined Thanksgiving church service at the Red Cross Service Club at 0900, with all Officers, Nurses and Enlisted Men attending. Chaplains Ford, Brink and Hood conducted the service, and Col. Pfeffer read the President’s proclamation. The unit PX closed on 26 November, which gave a clear indication to Hospital staff that a change of station was imminent. The following day, all personnel were instructed to prepare the unit for immediate movement, and equipment was hurriedly packed and made ready for transportation. The equipment was loaded on freight cars commencing on 29 November. An Advance Party of 15 vehicles with Lt. Apfelbaum in charge, and Capt. Clary as convoy Medical Officer, departed at 0600 on 30 November. All remaining personnel were divided into two groups; all Nurses, Red Cross Workers, Hospital Dietitians, Physical Therapy Aides, 35 Officers and 125 Enlisted Men were to leave by train in command of Col. Williams about 2000 the same evening. The Commanding Officer, 11 Officers and 299 Enlisted Men were to leave by train about the same time on 1 December. While aboard, all personnel were informed of their destination: Naples, Italy. 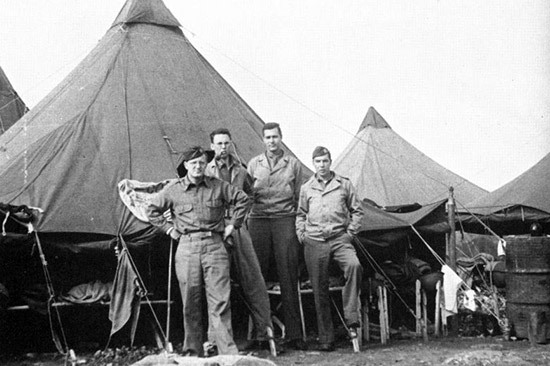 Four members of the 45th General Hospital pose for a photograph in front of their Pyramidal Tent during the bivouac at “Goat Hill”, en route to Naples, Italy. The journey across both continents was a lengthy one. As a result, a short stay was made in Oran, Algeria, where the 45th General Hospital was bivouacked with the 26th General Hospital on a hillside nicknamed “Goat Hill”. After detraining and upon arrival at the area on 2 December 1943, the unit found tentage had already been erected, which proved a welcome surprise, as the weather was cold, and it was raining. A few duckboards made the stay a little more palatable, and drainage ditches certainly helped to keep the ground inside the tents as dry as possible. Several days were spent in this bivouac. Orders were finally received on 15 December 1943 that all personnel should be ready to depart Oran with little or no further notice. Twenty trucks and trailers arrived at 0900 and the entire staff, less the Nurses complement were taken to Mers-el-Kébir, a harbor installation west of Oran. After a mile-long hike, the unit finally reached its ship, clearly identified by the exterior livery as HMT “Cameronia (II)”. Upon arrival at the vessel, embarkation was begun almost immediately, and the staff of the 45th expected to set sail imminently. However, no-one anticipated the sheer number of passengers, and embarkation and loading continued well into the night. The following morning (16 December), the vessel finally set sail at 0830. The 45th was joined by the 12th General Hospital and 32d Station Hospital aboard – many stories and tales were exchanged between the units’ personnel. The buildings assigned to the 45th General Hospital were an administrative headquarters for Fairgrounds and two motor exhibits buildings. These were not easy to keep clean and were difficult to light. Grease, dirt and rubble from bombings was all around, and a great amount of work was required in order to prepare the site for use as a military hospital. However, news was received on 20 December that the unit would not be in the current location for more than three months. Plans had already been prepared, space allotted to different departments in each of the buildings and work was already in progress by the unit. 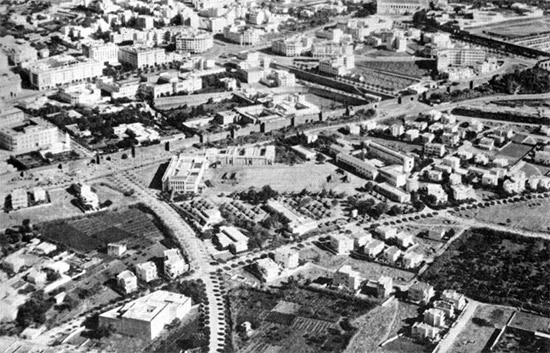 Partial aerial view showing the “Mostra Triennale della Terra d’ Oltremare” complex, which was home to the 45th General Hospital during its time in Naples, Italy. The large former headquarters was designated as Building “A”, and contained a basement with three floors, although part of the third floor front was not usable because of bomb damage. Headquarters, the Medical Service and medical wards occupied this building, and space was also provided for the Dispensary, Pharmacy, Red Cross, Patients’ and Detachment Mess, Registrar, Finance, Dermatology Clinic, Chaplain’s Office, and Quartermaster Section. The first of the two large exhibition halls was named Building “B”, and used primarily by the Surgical Service. It also housed the Laboratory, Post Office and Medical Supply Service. The final building was assigned the “C” suffix, and housed a large Orthopedic Ward, X-ray Service, Operating Rooms, EENT and Dental Clinics, an additional Patients’ Mess and an Officers’ and Nurses’ Mess. On 23 December, orders were received to prepare the hospital site for “as many wards as humanly possible”, and much of Christmas was spent in carrying out this instruction, even though the Nurses were still in Africa. On Christmas Eve, 149 patients arrived by ambulance. The facility was not fully ready to receive them, but was able to offer respite and refuge from the bitter cold of the Italian winter. The Hospital’s kitchen staff served Christmas dinner for Enlisted personnel and patients, while all Officers visited the nearby 21st General Hospital at Terme. A small party was held after dinner for all patients and staff, but the Christmas cheer did not last long. The following morning, Christmas Day, 1943, a loud crash interrupted the whole organization. 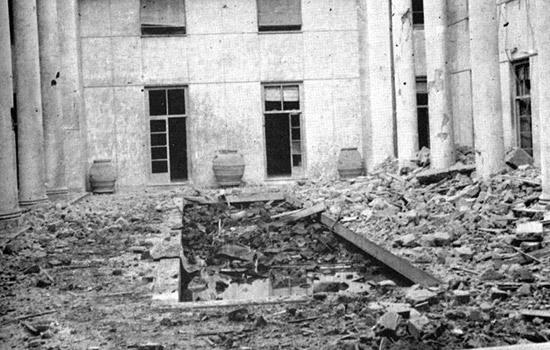 A bomb had fallen on part of Building “A”, causing the roof and walls of the second floor to cave in, crashing through both floors to the basement. Fortunately, no-one was in the area at that moment. Photograph showing the Building A courtyard. The destruction and devastation caused by the bombing can be seen clearly. Despite the fact that no further news had been received regarding the 45th’s Nurses’ complement, the organization continued to receive a constant stream of admissions between Christmas and New Year. On New Year’s Eve, the patient census was 290. 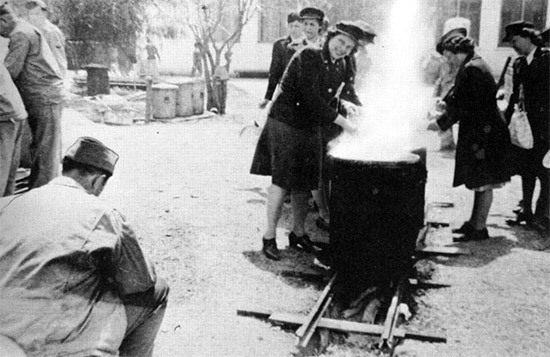 Finally, the Nurses arrived on 1 January 1944 and were immediately assigned to their various responsibilities. Throughout January, patients were constantly arriving either by ambulance or Hospital Train, and all personnel and departments were kept busy at a constant rate. Occasional interruptions were caused by German air raids, some of a few minutes duration, and other alarms lasting as long as several hours. By 10 February 1944, the patient census had increased to almost 1,600, equally divided between the Medical and Surgical Services. Approximately 9% of all medical admissions were for malaria, and approximately 28% for respiratory diseases. A further 350 patients were received on 25 February in the space of only two hours. The final large group of approximately 200 patients were admitted on 3 March 1944, bringing the total census to 1,726 patients. The admissions gradually decreased in the following weeks and by May, discharges exceeded admissions. The daily discharge rate averaged about 50 patients. However, the decreased patient census was short-lived. During the first ten days of June, a total of 1,100 new patients were admitted to the facility. By the evening of 13 June, the unit faced a crisis in the Surgical Service. The patient census had climbed to 2,456, with 1,904 of this group assigned to the Surgical Service for treatment of wounds received in action, and two days later, an additional 60 patients were admitted to the service. In an attempt to better manage the numerous surgical teams, 6 Officers were placed on detached service with the 45th from neighboring units, namely the 6th General Hospital and the 33d General Hospital. The patient census remained around the 2,000 mark for the remainder of July and into August, and continued at a steady rate until December. Aerial view showing Ward Tents that were erected in the Detachment area at Naples. These tents were used to house almost half of the patients at any one time. During Christmas 1944, a concerted effort was made to return all Class C patients to the Zone of Interior, and by 26 December, and for the first time since May, the patient census was under 1,500. From Christmas Eve until Boxing Day, work was relaxed for all but duty personnel and the mess departments. A Christmas meal was organized for the personnel and patients, and was served by the mess departments in the respective Mess Halls. Hospital personnel hard at work in the Detachment of Patients office. 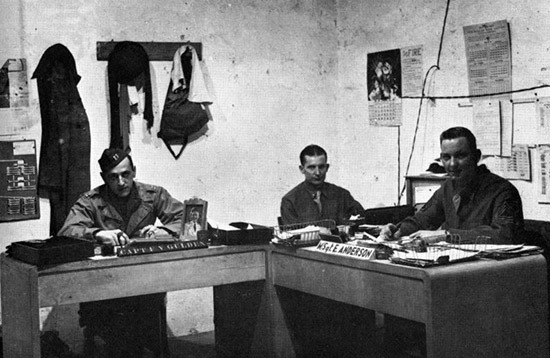 Photograph taken during the unit’s time in Naples, 1944. January 1945 saw many changes and promotions within the staff of the 45th General Hospital. A directive was issued on 8 January ordering the staff of the unit to devote 6 hours a week to drill and other basic military subjects. This order excluded Nurses and night duty personnel. The directive received a poor reception from the Officers, and on 14 February, a revised memorandum reduced the program to three hours a week, which was much better received by everyone, especially since the unit already had a census of 1,666 patients. On 11 January, a very uncomplimentary letter arrived from the Base Surgeon’s Office. It criticized the unattractive entrance to the Dental Clinic and asked that certain changes be made. The Chief Dental Surgeon of MTOUSA (Mediterranean Theater of Operations, United States Army –ed.) inspected on 9 February, and was not particularly concerned with the entrance. As a result of his official report, no action was ever taken to improve the Clinic’s external appearance. March saw a considerable increase in admissions; the total for the month was 1,073 and the daily census averaged 777. Most of the admissions went to the Medical Service, with only 70 battle casualties to the Surgical Service. By 29 March, the total number of patients in the Hospital was 1,087. The trend continued through April and well into May. Although hostilities in Italy had officially ceased on 2 May, admissions for the month represented an all-time high for the year. More than 1,800 patients were admitted, and the daily average was 1,041. 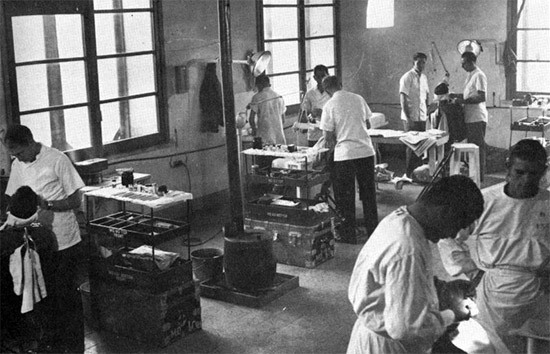 Dentists of the 45th General Hospital hard at work in the Dental Clinic, Naples, Italy. Photograph taken in 1945. 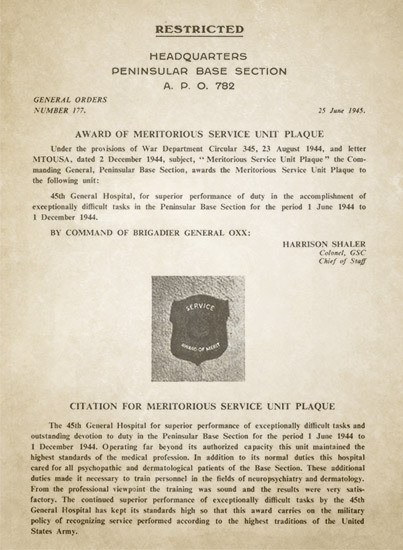 On 25 May, the unit received news that it had been recommended for a Meritorious Service Unit Plaque by the Theater Surgeon. Finally, on 31 May 1945 news was received that the unit would once again move stations, this time to Bari, a small town on the coast of the Adriatic Sea, where it would replace the 26th General Hospital. In the days that followed, many of the patients were either returned to duty, or evacuated to other military and civilian hospitals in the area. The final 348 patients were sent to the 300th General Hospital on 9 June. 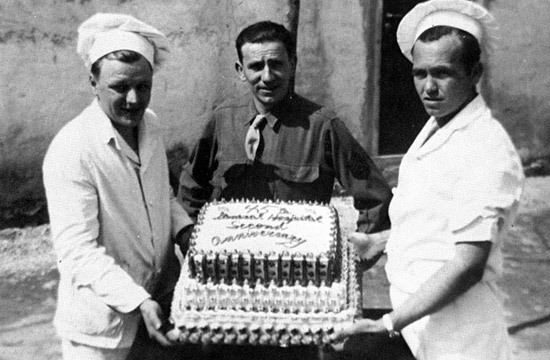 All equipment was then turned in, and a farewell party for the civilian staff was held on 14 June. A further party on 18 June for all Officers and Nurses ended in a nostalgic atmosphere. All personnel of the Hospital made their way via military transport to the railroad station at Garibaldi, and prepared to board a train for their next destination. All Hospital equipment was to follow via motor convoy. Surgeons from the 45th worked around the clock to carry out surgical procedures and keep up with the patient demand. The train and motor convoy left Naples at 0815 on 20 June 1945, and the unit finally reached Bari (Adriatic Base Command, ABC –ed) at 2300. The motor convoy had arrived earlier in the day, and this allowed the preparation of a warm meal for the entire staff. 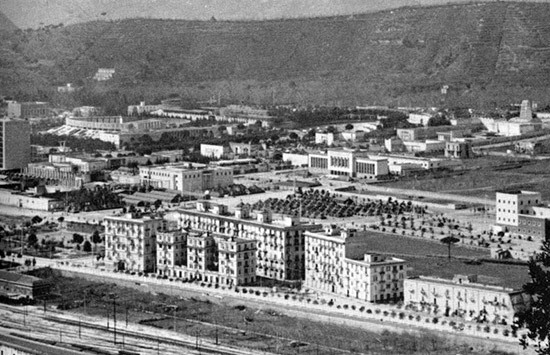 Upon arrival in Bari, the unit then traveled a few miles to the “Ospedale Militare Lorenzo Bonomo“, located on Corso Sicilia on the outskirts of the town. Luckily, the buildings had already been prepared for use by the 26th General Hospital, and only minor alterations were required. Upon arrival at the facility, it was announced that the 45th would be providing facilities for the care of American troops in the ABC and the 15th Air Force. The following morning, 21 June 1945, all organizational equipment and 466 patients of the 26th Gen Hosp were transferred officially to the 45th General Hospital. 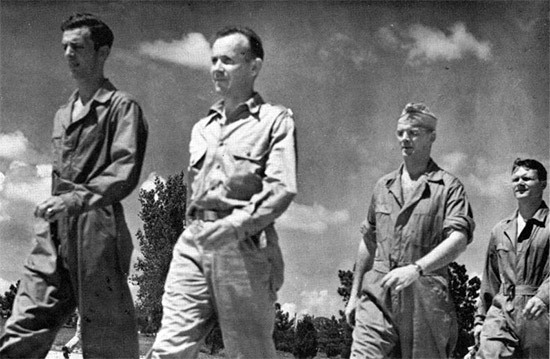 Personnel changes had been rapid on the eve of departure from Naples, and when all equipment was officially transferred, Col. Henry W. Meisch, MC assumed command of the 45th. He had formerly been assigned as the Commanding Officer of the 26th General Hospital and the 7th Station Hospital. 72 Nurses remaining from the 26th Gen Hosp were also transferred to the 45th for permanent duty. 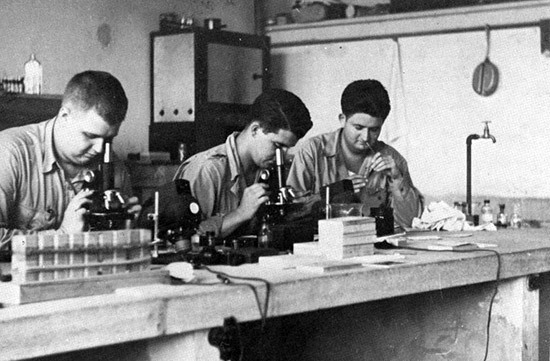 Three Technicians examine patients’ blood samples in the Laboratory of the 45th General Hospital. July was spent largely in learning the new surroundings, and the complications that they brought to a military unit such as the 45th. Mosquito control was a major issue at the start of operations in Bari, but thankfully, a large stock of mosquito nets was sourced from a nearby Medical Depot, and this drastically reduced the cases of malaria within the unit. On the last day of July, a trainload of German prisoners arrived to work at the facility. This new workforce soon proved to be a welcome addition, as many Officers and Enlisted Men would soon be lost due to their sufficient ASR scores (“Points” –ed) and eventual return to the ZI. Throughout the month of August, and following the official announcement of MTOUSA, the vast majority of hospital staff scoring the required number of points were returned to the United States for discharge from the Army. On 15 September, the Commanding Officer received notification from MTOUSA that the 45th General Hospital was to officially cease operations in the theater on 1 October 1945. The process of transferring the remaining patients to nearby units was begun the following day. Finally, pursuant to instructions contained in General Orders No. 68, the 45th General Hospital was officially inactivated at Bari, Italy on 30 September 1945 (Headquarters, Adriatic Base Command, dated 22 September 1945 –ed). 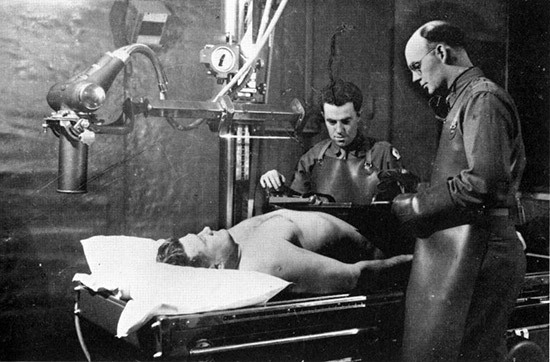 Technician Fourth Grade Thomas K. McNally and Private Clyde M. Smith conduct an x-ray on a patient. Aerial viewing showing the “Ospedale Militare Lorenzo Bonomo”, the last ‘home’ of the 45th General Hospital in the MTO. 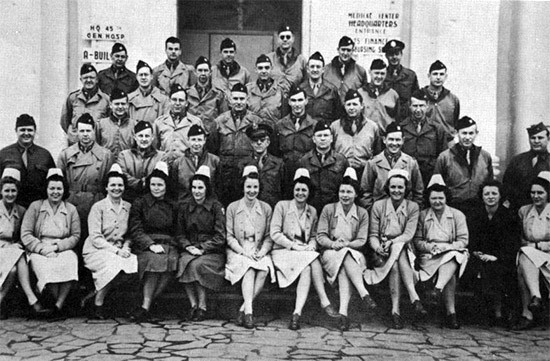 Photograph showing a partial group of Officers and Nurses from the 45th General Hospital. 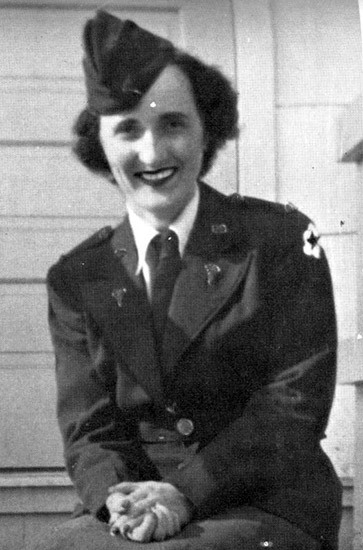 Portrait of 2d Lt. Claire C. Riley, Army Nurse Corps. Staples, Edith Templeman, Margaret G.
Members of the unit’s Motor Pool pose for a photograph with local civilians in front of a 3/4-ton Weapons Carrier. Photograph taken in North Africa, 1943. Adame, Ralph R. Adams, Ben S. Adams, Fredericks H.
Adams, Lee S. Adorato, Dominick J. Affeldt, Raymond E.
Ahner, Herbert F. Akin, Robert P. Albright, George H.
Aloi, Carmen A. Alonen, Paavo Alter, Eugene F.
Alterman, Samuel Alu, Salvatore F. Amador, Frank L.
Amorino, Victor A. Anderson, Charles W. Anderson, Eugene R.
Anoe, Robert J. Arens, Harold M. Armstrong, James H.
Augustine, Joseph Austerweil, Daniel Bachelder, George S.
Bahren, William B. Bailey, Archie Bailey, William T.
Baker, Jarrett K. Baker, Rexford W. Bales, Floyd B.
Ballor, Henry W. Bankowski, John Banks, Andrew J.
Butler, Horace C. Buynak, Victor M., Jr. Byrd, Lester L.
Callihan, Chester M. Caloway, Newsome O. Cammarata, John J.
Campbell, William F. Camson, Nathan A. Capozzi, Philip F.
Caputo, Samuel J. Carder, Perry O. Caret, Euegene C.
Carlisle, Robert J. Carlson, Elmer J. Carnathan, W. G. Jr.
Carpenter, Joe Carr, FrankCarter, Eskel Cary, Hurstel C.
Celano, Marino Ceners, Millard Cerrelli, Ralph V.
Cericola, Nicholas J. Chalek, Conrad J. Chamberlin, Alan D.
Chambers, William A. Chan, Ernest R. Chapin, Frederick G.
Chester, John Chinn, Odus E. Christensen, Floyd M.
Christianson, Harry J. Christopher, George R. Cimelli, Frank F.
Cincinelli, Salvatore S. Cironi, Nicholas Clark, Denman B.
Clark, Richard H. Coble, Harold E. Cockerham, D. M.
Cohen, Leon, Colacurto, Louis Colcleasure, A. E.
Collera, Faustino G. Collins, Dale Conti, Anthony J.
Cook, James J., Jr. Cooke, Eugene F. Cooke, William C.
Cornelius, Roy W. Cornwell, Truman Corr, James J.
Costa, John Costello, John L. Costello, Martin J.
Councell, Raymond J. Courtney, William T. Cowan, William E.
Cox, Virgil R. Coyle, John F. Coyle, John W.
Crabtree, Elisha, Jr. Crabtree, Homer F. Crabtree, William H.
European-African-Middle Eastern Campaign ribbons are awarded to members of the 45th General Hospital by the Commanding Officer Col. Charles A. Pfeffer. Craft, William C. Crafts, Arthur A. Crawford, James W., Jr.
Craycraft, Hollie J. Cronick, Mike W. Cronin, John J., Jr.
Curtis, Charles H. Cusamano, Stanley J. Cutler, Edward L.
Danks, James H. Danner, Frederick G. Dasher, Francis W., Jr.
Dashiell, Jack W. Davis, Hubert A. Davis, James H.
Davis, Kenneth B. Davis, Malcolm L. Day, Robert J.
Desiati, James V. Desko, George J. Dessimoz, Henry P.
Dessoye, John J. Detlefsen, Vincent P. Diaz, Pablo A.
DiBrito, Frank J. DiCiocco, Alfonso Dietz, Robert C.
Dimmick, Franklin H. Dineen, William J. Diocco, Alfonso D.
Dixon, Russell A. Dixon, William H. Dobrow, Morton I.
Dolan, Joseph P. Donovan, Frank J. Doscher, William E.
Dowdle, William C. Draddy, John P. Dreier, Paul J. Dress, Joseph J. Droog, John G. Dudderar, Julian R.
Dulski, Waldermar V. Dunlavey, Paul E. D’Urso, Andrew F.
Early, Thomas J. Edelstein, Samuel Edmonds, Maurice L.
Eggert, Leslie H. Eldred, Paul G. Elmer, Stanley D.
Emery, Lawrence V. Emley, Vernon J. Eng, Joseph M.
Esch, Clarence J. Evans, Luther L. Fanning, Albert J.
Fano, Alexander K. Farnsworth, Harold L. Feather, Harry J.
Federoff, Bernard Fehr, Raymond G. Feldman, Walter W.
Ferguson, Robert J., Jr. Ferrante, William V. Ferrier, Arthur E.
Ferro, Joseph E. Ferro, Vincent J. Fetter, William R.
Fichtner, John D. Fields, Lestin Fields, Warren L.
Fiore, Nicholas Firo, Alphonso Fish, Edward I.
Fisher, Ernest E. Fisher, Joseph Fisk, Everett V.
Fitts, Aubrey O. Fitz, Joseph S. Fitgerald, Robert E.
Fixman, Morris Flagg, Daniel H., Jr. Flees, Edmund C.
Flora, Fred L. Flynn, Eugene P. Fogaley, George I.
Forand, Frederick N. Ford, Richard A. Fordal, Martin A. Foster, William R. Foti, Dominick Francis, Raymond P.
Franey, James G. Frazier, Holtzman R. Frederickson, Arthur P.
Frink, John J. Frio, Alphonso Frost, Edward J.
Frye, William A. Fucci, Ceasar Furlong, James W.
Furlong, Paul O. Fusco, Luke A. Gabelman, August J.
Galansky, Jack Gale, William B. Gallant, ALbert D., Jr.
Gamble, Edwin W., Jr. Gangi, Samuel S. Gardas, Tony T.
Gay, Earl C. Geftic, Sam G. Geist, Norman L.
Geyer, Gage L. Giacoboni, Chester F. Gibson, Alfred D.
Gierczynski, Frank P. Gilkey, Charles P. Gillespi, William N.
Giordano, Samuel A. Givens, Patrick J. Givens, Thomas C.
Glascock, Paul M. Gliha, Frank M. Gloddeck, Walter O.
Glynn, William Godfry, Robert S. Goelz, John T., Jr.
Goodblood, William R. Goodwin, Ira P., Jr. Gordon, Robert N.
Gorman, Edward J. Gosnell, James L. Grace, Stephen J.
Graham, Donnell D. Graham, John O. Graham, Odis E.
Graham, Stanley T. Grandmaison, Joseph A. Grant, James N.
Three unidentified members are pictured in the Hospital’s Dispensary in Bari, Italy. Greene, Edward Greene, Norman D. Greene, William R.
Gregoria, Frank J. Gregory, Jesse Gregory, Milton R.
Gretwatz, Harry R. Grieco, Mauro D. Griffin, Edward V.
Griffin, Victor M. Groff, Coey F. Gross, William E.
Grunsich, Frank J. Grzymkowski, Paul Guarriello, Joseph L.
Gussaroff, Sidney H. Guthrie, Frank J. Guynup, Harold H.
Haines, Joseph C. Hadju, Martin Hall, Mac G.
Halpin, John J. Hamovitz, Morris H. Handley, Donald J.
Hanfling, Nathan Hanifan, John J. Hanley, John B.
Hargus, Boyd P. Harris, Edgar E. Hartmann, John J.
Hatch, Stephen E. Hatcher, James H. Hayes, James G.
Healt, William A.d Harrn, George W. Hearn, J. M.
Hedden, Jack E. Heidelberger, P., Jr. Hein, Arnold M.
Heinecke, Irving E. Helmer, John G. Henry, James A.
Heselton, Albert N. Hetrick, Donald Y. Hicks, William K.
Highsmith, Malcolm M. Hildebrand, Kenneth G. Hill, William A.
Hochban, John N. Hodge, Charles L. Hoelzer, Everett C.
Hoffer, Abraham I. Hollander, Stanley D. Hollis, Leonard P.
Holm, Hugo C. Hopkins, Arnold Horabik, Joseph A.
Horne, Melvin T. Horvatt, John S. Houser, Jack F.
Howard, Arnett Howlett, William H. Hudelson, Ernest H.
Hudson, Milton P. Hughes, Jeremiah J. Hughes, Raphael E.
Hughes, William C. Hummel, Clarence R. Hunt, Harry L.
Ianniello, Vincent Impemba, Victorio A. Ingoglia, Charles L.
Jacobson, Derwin E. Jacobson, Reuben B. Jacqmin, Valere C.
Janstosciak, Steve Januszkiewicz, Chester J. Jason, Arthur A.
Jentzel, Prescott A. Jesch, Peter Johanson, Victor C.
Johnson, Albert E. Johnson, Andrew J. Johnson, Arthur E.
Johnson, Gilbert J. Johnson, Howard R. Jokela, Toivo J.
Jones, Arthur M. Jordan, John Judson, William H.
Kassof, Bernard Kaufman, Harold J. Kazmucha, Edward A.
Keefe, Louis F. Keehan, Merlin Keets, John T.
Keller, Arthur R. Keller, Edmumd J. Keller, Francis T.
Kelley, Lester Kelly, George T. Kelsey, Stephen P.
Kemmelman, Fred W. Kempf, Frank C. Kendrick, Warner R.
Kennedy, Albert J. Kensinger, David K. Kerel, Carlos J.
Kern, Clement R. Kern, Henry Ketchum, Kenneth O.
Kettell, Lester E. Kiedaisch, Charles R. Kibler, Dennis W.
Kirschner, Sam Kish, Louis A. Kittelsen, Martin T.
Kliss, William J. Klotz, Albert Kluba, Nicholas J.
Knapp, Francis J. Knight, George E., Jr. Knorr, Robert F.
Knox, David E. Koehn, Merlin Koethe, Harold R.
Koslak, Chester C. Kosmata, John Kovacich, Charles E.
Kovacs, Victor F. Kowal, John S. Kowall, Henry R.
Kozak, Benjamin M. Kozak, Lawrence J. Kozlowski, Stanley J.
Krajnak, Steve G. Kramb, Donald R. Kramer, Euhene J.
Krane, John F. Krapp, John P. Kraus, Herman E., Jr.
Krudwig, William A. Kruse, Armin H. Kugle, Jessie W.
Kuras, Frank S. Kusek, Stanley Kush, Charles A.
Kutz, Herbert W. LaBellarte, John M. Lacy, Wayne C.
Lander, Frank S. Lane, Arthur B. Langin, Godfrey J.
Langus, Williams LaPointe, Theodore W. Lara, Cruz T.
LaRosa, Frank LaRosa, Placido G. Lazo, George W.
Leavitt, Grant Ledbetter, Jesse R. Lee, Fred J., Jr.
Lehmker, Robert T. Leiblie, Floyd E. Lenard, Frank J.
Levine, Jerry B. Levy, Robert I. Lewis, Donald N.
Lewis, Everett A. Licata, Jerald A. Lile, Luther E.
Lilly, Marion A. Lindgren, Kenneth E. Lockary, John H.
Locklin, Charles G. Lodovici, Archie E. LoGalbo, Philip A.
Lomax, Fred H. Longfellow, Robert A. Loos, Jack R.
Loyd, John E. Luca, Carmine J. Lucas, Julian T.
Lunsford, William A. Lusch, Jacob M. Lyall, Glenn T.
Lyons, Stephen C. Lyster, Garland D. MacDevitt, L. R.
Interior photograph showing members of the Hospital’s Quartermaster Section. Mackie, Floyd B. MacIntyre, Earl S. Maher, Francis J.
Mahuron, Merrel D. Malack, Jack J. Malley, Donald J.
Markoich, Alex J. Marks, John R. Marks, Ralph M.
Maroszek, John Marsh, Howard L. Marshall, John T.
Martin, William Y. Martinek, Frank W., Jr. Mason, Clifford E.
May, Joseph H. Mayeaux, Lannis J. Maziarz, Walter M.
Mazur, Edward McCall, Virgil V. McCarthy, James V.
McCarthy, Charles A. McCoppin, R. C. McDonough, T. M.
McKinnon, Bernard P. McManus, Walter J. McNally, Thomas K.
McNeal, Floyd Medellin, Rito H. Meehan, James J.
Melita, Orazio Melowitz, Adrian I. Mergelsberg, Earl W.
Mihovich, John Millard, Orrin L. Miles, Walter H., Jr.
Miller, Ernest L. Miller, Floyd A. Miller, Franklin J.
Miller, George L. Miller, Robert J., Jr. Mills, Frank E.
Mlynarski, Steve F. Moe, Donald G. Mogan, Timothy H. J.
Monahan, M. D., Jr. Monell, Bruce Montague, William P. F.
Montgomery, Glenn L. Moran, John T. Morange, John S.
Moritz, Henry A. Morris, Richard W. Mortland, Charles S.
Mucciolo, Anthony J. Muir, Alston W. Mulligan, Patrick J.
Mullins, Kerman T. Millins, Paul Mulvenna, Edward P.
Mulvenna, John C. Mundt, John D. Munguia, Ygmacio B.
Murehead, Virgil Murphy, Harry C. Murphy, Hugh D.
Murphy, Mark A. Murphy, Wilford A. Murphy, Woodrow M.
Natoli, Joseph A., Jr. Neal, Samuel R. Neary, Robert N.
Neifeld, Herbert S. Nelson, Enoch N. Nelson, Louis A.
Nelson, Nels A. Nettles, Hosea Neuhauser, Fred A.
Nibbe, Walter A. Nichols, Addison E. Nichols, Leland F.
Nickelsburg, Emil Nodich, Michael J. Nolan, William B.
O’Biso, Henry J. O’Brien, Philip G. O’Brien, William C.
Obstfeld, Norman Ochotny, John O’Conner, Gerald J.
O’Connor, Michael L. Oglesby, J. D. O’Leary, John L.
Oleksy, Alfred W. Olsen, Samuel A. Olson, Theodore M.
Omer, O. O’Neil, Peter, J. O’Neill, Thomas E.
Opper, Frederick A. Ortiz, Guillermo Oscarson, Cecil H.
Oswald, Joseph S. Otey, John M., Jr. O’Toole, Vincent P/. Overhold, Roy T. Overly, Domer M. Owens, Kenneth E.
Owens, Richard P. Owen, Robert E. Ozdowski, W. G.
Paavola, Leo L. Pacchera, Mario D. Pagan, Louis T.
Pallpeter, Thomas R. Paonessa, Frank A. Papp, Frank J.
Parascondola, George A. Parks, Leo S. Parrish, Robert G.
Partridge, Horace P. Patterson, Erwin C. Paul, Ray M.
Pavlik, Joseph Pelowitz, Abraham Peltoniemi, Emil A.
Penney, Vernon W. Pennock, John D. Perlbinder, Joe S.
Phillips, Delvin B. Phillips, Henry V. Phillips, Ray O.
Piecuch, Walter C. Pierce, A. C. Pinzone, Anthony S.
Plasse, Eldege G. Poland, Vernon W. Polimeni, Vincenzo J.
Polko, Charles F. Posten, William H. Powderly, Kenneth J.
Pugielli, Frank Quam, Robert A. Quartin, George S.
The unit’s Cooks pose for a photograph with a special cake they had prepared for the 45th’s second Anniversary. Rafuse, Clyde J. Raimond, Patrick Rains, Comer A.
Ramsten, Thor V. Ranalli, Alfred D. Raney, Jesse G.
Reddish, Edward J. Reed, LeRoy A. Reed, Robert F.
Rehak, John J. Rehill, William A. Reif, Charles H.
Reis, Richard G. Remenaric, Paul S. Remillard, Joseph E.
Renner, Robert C. Rhoades, Carl T. Ribbecke, L. F.
Richards, Albert M. Ridge, Coleman T. Riedl, Matthew A.
Ritchey, Gregg A., Jr. Roberts, George O. Robesch, Howard H.
Robinson, Gerald J. Rodecker, Edward H. Rohner, John E.
Rogars, Emil Roesch, Francis L. Rooker, William R.
Rossie, Fred A. Rosso, Russell Roston, Robert J.
Roston, William A. Rotter, Frank G. Rousseau, Louis J.
Rowe, Elmer B. Roy, Aime D. Rubal, Zacarias E.
Ruckle, Edwin J. Ruggiero, Joseph Ruiz, Gilbert R.
Runden, Arnold T. Rundio, Florian F. Rusley, Bennie J.
Rusnak, John Russell, Charles G. Ryschlowsky, Robert M.
Rysinger, Edmund W. Sabatino, Cono C. Sabella, James J.
Salotti, Pete D. Salvo, Anthony J. Samhammer, Eugene J.
Samoska, Joseph B. Sanchez, Edward Sanchez, Jacobo A.
Sanders, Aubrey V., Jr. Sandusky, Joseph M. Santistven, John D.
Sappington, L. C. Saputo, Mike Sarcia, Charles F.
Sarinana, Arthur M. Sattler, Robert P. Savage, David M.
Scannell, James P. Scarborough, A. D. Schafer, Carl E.
Schmid, Jack F. Schmitt, Philip J. Schneiweis, Wallace B.
Schock, Roland J. Scholl, Lawrence L. Scholz, Bennie J.
Schwab, Charles J. Schwalb, Sydney S. Schwartz, Harold L.
Schultes, August C., Jr. Schultz, Floyd T. Schremmer, W. H.
Scialpi, Anthony C. Scully, Joseph V. Seagle, Thomas R.
Seaman, Leslie T. Sears, Carl W. Sebest, Joseph M.
Sempek, Joe L. Sericola, John A. Setaro, Michael P.
Settle, Joseph V. Sharp, Guy A. Shaw, J. T.
Shifflet, John L. Shiflett, Otis V. Shlafer, Harry J.
Silvestrini, Albert L. Simard, Robert L. Simeone, Ralph P.
Simmons, Herbert I. Simmons, James W. Simon, Irvin E.
Simonian, Robert A. Simpson, Wilbur L. Skalski, Edward J.
Skidmore, William E. Skinner, Robert A. Skinner, Robert L.
Sklar, John S. Skoda, Edward A. Smith, Clyde M.
Smith, Glenwood L. Smith, Harry W. Smith, Lawrence L.
Smith, Terrell J. Smith, Travis C. Smolicka, Joseph J.
Soltus, Edward B. South, William L. Spain, Cecil J.
Spector, Paul Speziale, Joseph J. Spillers, Carl K.
Spoonire, Orville H. Springer, Harold Spurrier, Edgar R.
Stains, Robert E. Stancker, Joseph S. Stankiewicz, V. A.
Steppler, John H. Stern, Lionel Stewart, Richard L.
Stokes, George A. Stout, Leon S. Straka, Frank J.
Stransky, Wayne A. Sullins, Clarence J. Sullivan, Joseph B.
Suozzo, Robert A. Sutcavage, Alphonse F. Sutka, William S.
Swann, Calvin A. Swiniuch, John T. Sykes, Raymond P., Jr.
Szabo, Joseph C. Szpila, Eugene J. Tahan, James A.
Talbot, Kenneth L. Tamanaha, Bob A. Tangorra, Joseph P.
Tanner, Charles J. Tanzman, Jack Tardiff, Alpherie J. Partial view of the Victory Parade hosted by the 45th General Hospital in May 1945, to celebrate the end of hostilities in Italy. Terrebonne, Forest L. Thayer, Harry G. Thomas, Carl E.
Thompson, Arthur R. Thompson, Arvil M. Thompson, John D.
Thompson, Lester Thorimbert, John F. Tollefsurd, Everett S.
Toise, Alfred M. Touchette, Albert E. Toups, George J.
Townes, Frank Townsend, George W. Tracey, Hubert L.
Tracy, William T. Trembley, Norman J. Tyree, William J.
Uskuraitis, Anthony M. Valenzuela, Raymond B. Valley, Delbert B. Van Buren, Orville E. Van Dyne, Charles G. Vanlandingham, Tillman C.
Vargo, Albert R. Varrelmann, George A. Vasseur, James P.
Vaughan, Robert R. Veroxie, Joseph J. Viglione, Egidio J.
Visingardi, Dominick A. Vitti, ALbert Vivelo, Thomas C.
Vrba, Frank L. Vuoncino, Rubin A. Wachowitz, Walter J., Jr.
Wade, Eugene W. Waldorf, Kenneth S. Wall, Comer A., Jr.
Wallace, Ernest D. Wallace, Thomas W. Walsh, Edmund A.
Waslh, Edwin F. Walters, Adam J. Wameling, John L.
Weaver, John P. Weaver, Robert E. Weemes, John H.
Wehremann, Max H. Weidenfeld, Morris Weinreb, William B.
Weinstein, Irving L. Weinstein, Martin M. Welch, Goodwin T.
Wellman, George J. Welsch, Nicholas P., Jr. West, John N.
Westberg, Fred E. Wetzel, Edwin Wheat, Emile T.
White, Arthur P. White, Gilbert J. White, Homer C.
White, Quinton D. Whittenburg, W. R. Wiederholt, Sylvester F.
Wiegand, Joseph C. Wilczek, John Wildt, Frank W.
Wilhelm, Kenneth F. Willey, George T. Williams, Kendall E.
Williams, Schollie E. Willis, Thomas J. Willoughby, Hollis F.
Wilsford, Robert E. Wilson, Alvin W. Wilson, Ben P.
Wilson, Clifford S. Wilson, James H. Wilson, Jose V.
Winard, Ralph J. Winckelbach, R. R. Winesett, Robert N.
Wisbebski, Casimir A. Wishart, John M. Wolanski, Chester S.
Wolk, Asher Wood, Russell W. Woodlock, William D.
Woods, Robert J. Woolf, Billie B. Wooten, Chelsea E.
Woseneski, William Wright, Carl H., Jr. Wright, Charles H.
Yates, Andrew Yearry, Leo W. Yee, Wi G.
Youmans, Howard E. Young, David N. Young, Ralph L.
Zadrovec, Mike A. Zahemski, Frank V. Zaher, Michael J.
Zak, John W. Zappal, Biagio F. Zarifian, Serop K.
Zeh, Carl D. Zigari, Emery L. Zimmerman, John F.